In its annual joint “Best Law Firms” ranking, U.S. News & World Report and Best Lawyers® have recognized Smith Anderson as a leading firm in 38 practice categories, including 24 Metropolitan Tier 1 ratings, the highest rating available. Additionally, for the first time, the firm’s Venture Capital Law practice received a National Tier 3 rating in addition to a Metropolitan Tier 1 ranking. The annual law firm ranking is based on client and peer reviews, as well as evaluation of information provided in a survey submitted by law firms. To view Smith Anderson’s 2016 “Best Law Firms” rankings in their entirety, click here. Founded in 1912, Smith Anderson has grown to become the largest business and litigation law firm headquartered in the Research Triangle region and one of the largest in North Carolina. We provide a full range of legal services to a diverse and dynamic group of regional, national and international companies. Over 100 years of practicing law has grounded our Firm’s culture, informed our perspective, and provided us the insight necessary to help our clients succeed. Over time, our core principles have remained unchanged. We remain personally dedicated to the success, prosperity and betterment of our clients and the communities we serve. 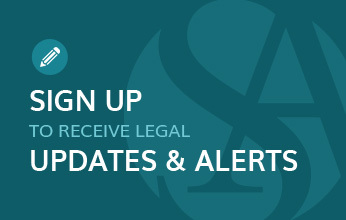 For more information about Smith Anderson, please visit www.SmithLaw.com. The U.S. News & World Report and Best Lawyers® “Best Law Firms” rankings are based on a rigorous evaluation process that includes the collection of client and lawyer evaluations, peer review from leading attorneys in their field, and review of additional information provided by law firms as part of the formal submission process. For more information, please visit http://bestlawfirms.usnews.com/.